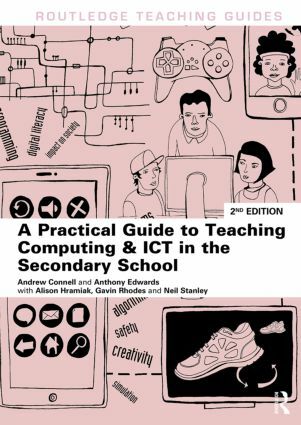 A Practical Guide to Teaching Computing and ICT in the Secondary School offers straightforward guidance and inspiration to support all trainee and newly qualified teachers, as well as their tutors and mentors. It will also be a source of support and ideas for qualified teachers who wish to develop their teaching of Computing as a subject, in light of recent changes to the National Curriculum. Helping pupils appreciate good and bad effects of computing. A Practical Guide to Teaching Computing and ICT in the Secondary School, written by experts in the field, provides detailed examples of theory in practice, enabling you to analyse and reflect on your own teaching in order to ensure pupil learning is maximised. Andrew Connell is Head of Initial Teacher Education and a Senior Lecturer in Computing Teacher Education at the University of Chester. Anthony Edwards is Associate Professor of Education and formerly Head of the School of Educational Studies at Liverpool Hope University, UK.